All of these things have been added to the GFX Generators. Opa-Opa was secretly added last week, but this update gives him a palette for his brother, Upa-Upa. The Bruizer and Pugi sprites were made to show support for the Combat Core Kickstarter. 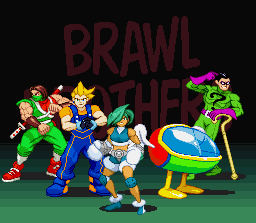 The campaign ends on Sunday, June 14th, and the party brawler (the best name I’ve seen for that kind of fighting game) still needs your help to be funded. You can even get an alpha of the game from the Kickstarter page to convince you that the game is worth helping! Check out this MABManZ interview with Rated S Gaming that also has footage of new things in the game, including an arena with a Japanese Exploding Ropes Death Match wrestling ring. That’s all the main info for today’s update, but there’s a bit more info behind this cut. Have a good weekend!